As you learn from the "1st Recovery Mission" pages of this website, JPAC conducted its first attempt to recover 1st Lt. Ewart T. Sconiers in October 2011. There was no doubt Sconiers was buried in the northeast quadrant of what is now Allies Park in Lubin, Poland. The looming question for JPAC was WHERE was Sconiers buried in that quadrant (an area 30 X 40 meters)? Since the park served as a cemetery during WWII, remains could have been anywhere, and since the Russians removed crosses and all other markers of graves during their occupation of Poland, determining precisely where graves are located is the first challenge. JPAC 's intent was to return for another recovery attempt. However, prior to a second recovery mission, they needed as much information as possible to narrow their search to the most likely burial spots, so as to ultimately disturb as little of the beautiful city park as possble. An international team of passionately dedicated volunteer researchers intended to help JPAC by providing survey and other information that might ensure that the next recovery attempt would be successful. Officials of the City of Lubin granted permission for a survey of Allies Park and were very supportive of the effort. With permission of JPAC, Dr. Jarrod Burks, an expert archaeologist with Ohio Valley Archaeology, Inc., graciously volunteered his time to survey the quadrant to identify possible gravesites. 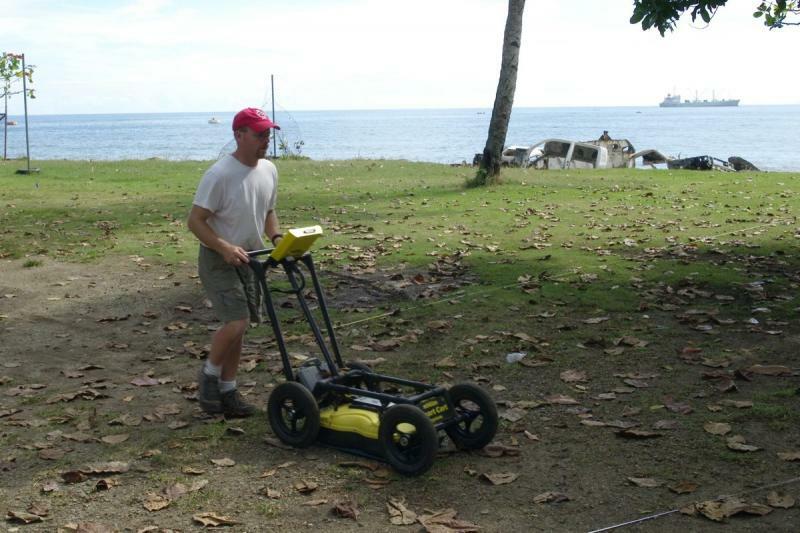 Ohio Valley Archaeology, Inc. covered the cost of insuring the state-of-the-art equipment Dr. Burks used to survey the site: ground penetrating radar, a magnetometer, and an electrical resistance meter. Dr. Burks' equipment was shipped to and from Poland by DHL, a global leader in shipping. DHL enjoys a strong presence in Poland. Thanks to Mr. Roger Crook, CEO of DHL Global Forwarding, Freight, DHL covered all costs of round-trip shipping from Columbus, OH to Lubin, Poland . Without the marvelous support of DHL, this critical step would not have been possible. Special thanks are extended to Mary Heffelbower, then Export Manager, DHL Global Forwarding, for her commitment to this effort and for being responsible for orchestrating all shipping arrangements. Dr. Burks identified two key areas of the park for priority excavation by JPAC; both areas contain graves. On April 4, 2013, he presented his findings in person to JPAC in Hawaii. A link to his full report is provided on this page. TO GET TO THE LINK FOR DR. BURKS' REPORT, SIMPLY CLICK THE YELLOW TEXT DIRECTLY ABOVE (IT READS: "his full report is provided on this page"). Click here to link to her cover letter. Dr.Burks received his PhD in anthropology/archaeology from Ohio State University and is a professional archaeologist by training. 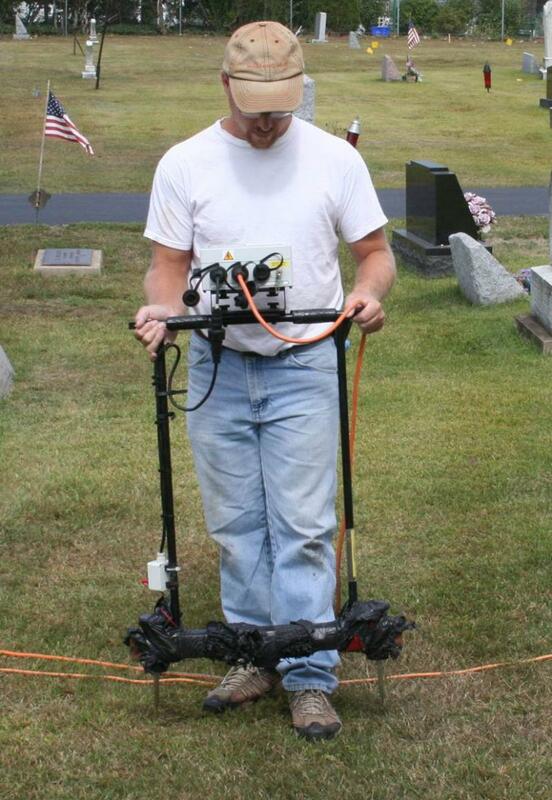 His specialty is Native American cultures, and he has successfully searched for graves 2000+ years old! 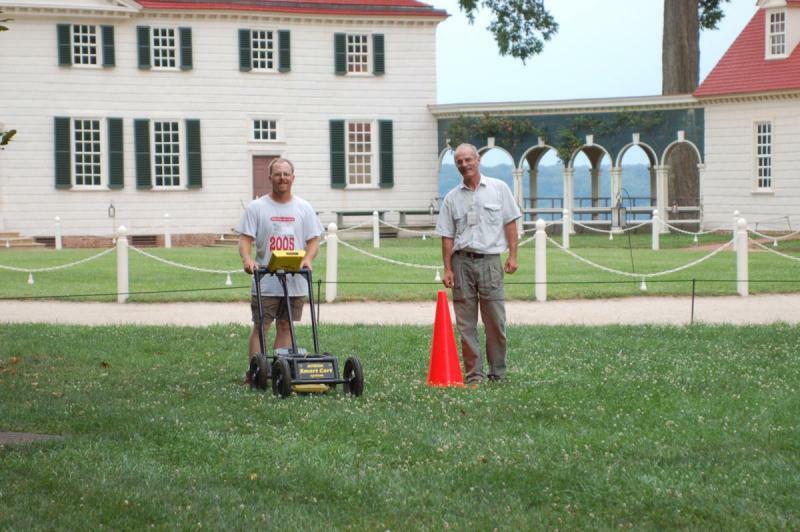 After a stint as an archaeologist for the National Park Service, Burks moved to the private sector and has been conducting geophysical surveys full time all around the U.S. His time is divided between surveying archaeology sites and cemeteries. He also engages in forensic projects for area law enforcement agencies. Several years ago, he went to Guadalcanal to help search for a "lost" patrol killed by the Japanese on the beach at what is now the city of Honiara, as well as for a soldier who was killed on the beach at a different time.